Along with the release of iPhone 4S, Apple developers presented Siri, the voice recognition assistant. The personal assistant was an innovation in what concerns the voice-assisted system, and it was available only on iPhone 4S, which runs on an A5 chip. 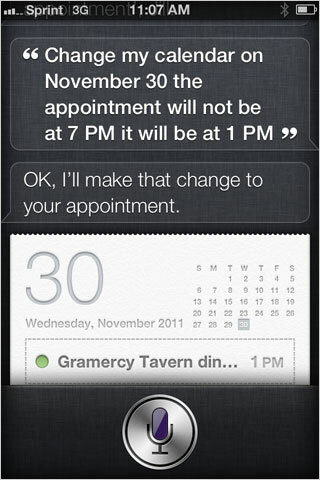 When iPhone 5 was released, it also contained the personal assistant within it. However, as time passes, people were able to commute Siri on other lower devices as well, with the help of jailbreak. Within this article, you can find some notable things you can do with Apple Siri personal assistant. 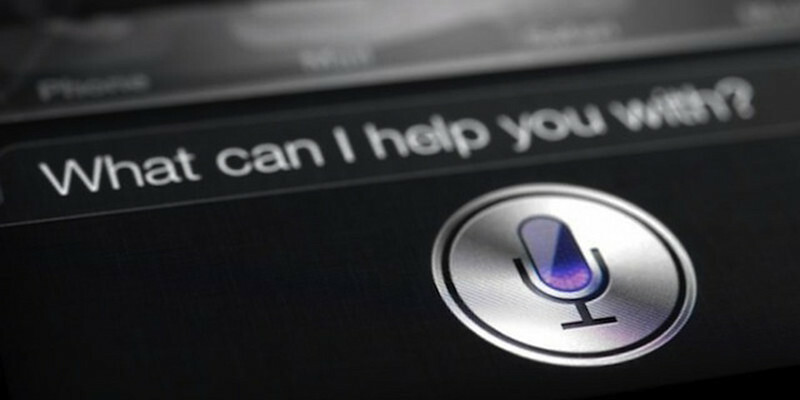 Siri is more than a voice assistant that hears and performs your voice commands. Siri is more as an intelligent assistant who can talk as a real person. However, the personal assistant is meant to help you perform certain tasks with less effort. When you need something, you just ask Siri to do it for you. Due to its increasing ability and utility, Siri can recognize more than 10 languages and many more 20 dialects. If you want to use Siri, just summon it by pressing and holding the Home button. In the same time, you can press the (i) button in order to see a command list and make things easier. Here are the top 10 things you can do with Siri, the personal assistant. The list is updated for iOS 6, and optimized for mobile view. This task is probably the most used one. It is more convenient to ask Siri to call somebody, especially when you have your hands busy doing something else. Just say the name of the contact you want to call, Siri will search it for you, and then it will initiate the call. Moreover, you can ask for more information, as well. For example, you can ask for the birthday of a certain contact, its address or its home email address. This feature works just great especially if you are driving and you cannot spend time searching through your contacts. You can even ask your personal assistant about a certain relationship you have with a particular contact. FaceTime feature is also incorporated in the field. Siri can make FaceTime calls for your address contacts. Another useful thing you can do with the help of your own voice recognition assistant is the fact that you can set commands for calendar. In this way, you will be able to set up meetings, change old meetings and even to add more details concerning the place, hour and the person you meet with. In the same time, you can easily ask Siri about certain events or birthdays saved in your Calendar feature in order to find out more details. I am sure that all of you owning Siri use it in order to find out the time. It is a common task, and Siri can perform it quite easily. Siri can also set alarms for you. All you have to do is to tell the time of the alarm such as “Wake me up in 10 hours” and Siri will set an alarm for you for that particular time. This Siri feature is one of the most valuable ones if you ask me because it can save you a lot of time. Easily, you can ask Siri to send an email for your boss while you do the laundry. Just name the contact you want and then say the whole message. If you receive a new incoming mail, you can ask Siri to check it for you. In the same time, Siri can easily reply to any email message you want without you even touching your iPhone. Just like in the case of email messages, your own personal assistant can send messages, read new ones and reply to incoming ones. When you want Siri to reply to a certain message, you have the option of calling the respective contact. Ask Siri to call it, and the personal assistant will initiate the phone call. Along with Facebook being integrated in the new iOS, Siri can help you to keep in touch with your social accounts and with your friends’ updates. You can tell Siri to post a new status update on Facebook or Twitter. You can tweet your recent activities and let your friends know where you are heading by using your voice assistant. Siri will turn out to be just great for you when you want to buy a ticket for your favorite movie release or your favorite theater play. In the same time, you can ask for locations of certain restaurants, the best place to have pizza or a drink. Just ask Siri your requirements and the personal assistant will look down for the most adequate place near your current location. In what concerns the Sports topic, Siri can search down for match results, football scores or career statistics. If you want to keep something in mind, you can ask Siri to take notes. Say what you want Siri to write down and the assistant will note it for you. Therefore, you can create reading list notes or movies to watch notes in order to keep a record of some of the most interesting things you want to do in the future. In the same time, Siri can keep a record of how much have you spend during your shopping session. Siri is very useful when searching down the internet for a certain thing. It can provide you reliable results concerning certain domains such as literature, history, geography, music, news, movies, plans or projects. The personal assistant can also keep you in touch with the stock price of various companies. Ask the company’s stock price and Siri will look down for you. The last Siri feature I want to mention is quite useful. You can launch any app you want to open with the help of Siri. Say whatever app you want to launch and ask Siri to do it for you. “Open Music Player” and Siri will search the Music Player app, and it will launch it for you. It is that simple. The help of Siri has proved to be very useful for most users during time. Since at beginning Siri was available only for iPhone 4S, for iPhone 5, and now for iPod Touch 5th generation meaning mostly newer devices running on A5 or A6 based chip, the number of users using Siri was limited. Now with the possibility of jailbreaking any device that runs iOS 6.1.2, even older devices such as iPhone 3GS or iPhone 4, almost everybody can have Siri. As I mentioned earlier, Siri can be ported on older devices, as well. Therefore, if you want to have Siri on your iPhone 4, iPod Touch 4th gen, you need to start untethered jailbreak iOS 6.1.2 using Evasion and then, download the SiriPort.